Your Perimeter Could be Anywhere. Secure it Everywhere. Hybrid IT lives everywhere. Yet, traditional perimeter-based security, NAC’s, firewalls and VPNs are ineffective against a new age of cyber threats. So, what can you do? 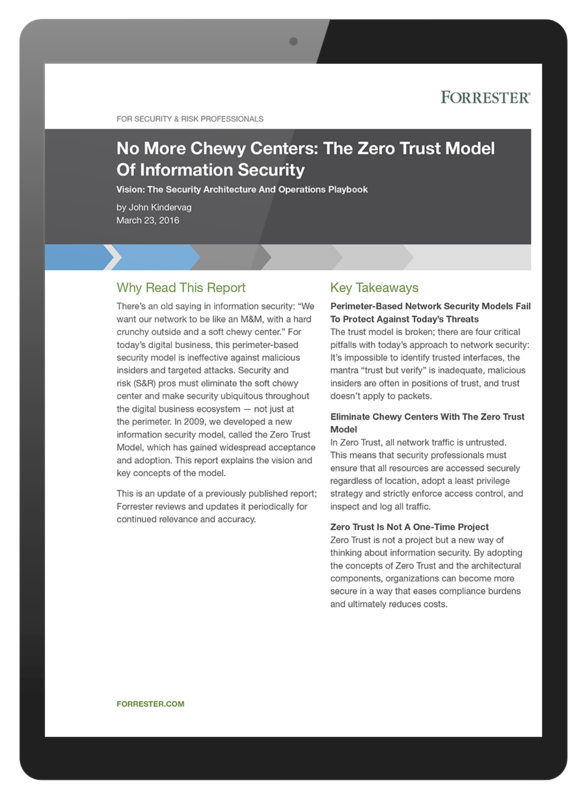 Learn about a new Zero-Trust model that makes security ubiquitous throughout the digital business ecosystem, and not just with a hardened perimeter. This Forrester report is written for senior security, network, architect, operations, infrastructure and risk professionals.